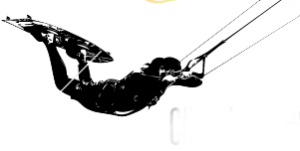 The basic course is spread over 2 – 3 days and is ideal for everyone who wants to try kitesurfing in Sicily. Depending on the wind, the basic course consists of 2 to 3 teaching days with a total of 8 lessons. 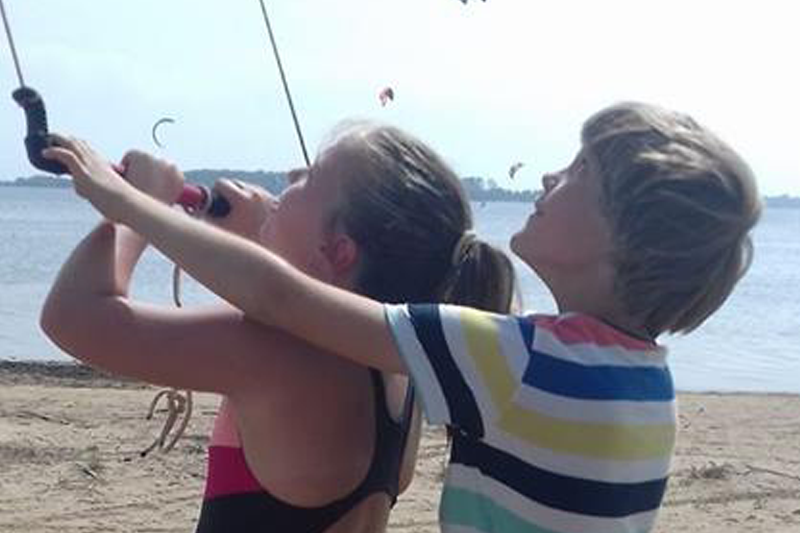 At our kite school in Lo Stagnone it is important that our customers feel personally looked after – therefore we accept a maximum of 2 students per group. We believe in safety-first and in quality before quantity! In the training we like to use helmets with radio technology, which makes a faster progress possible according to experience. 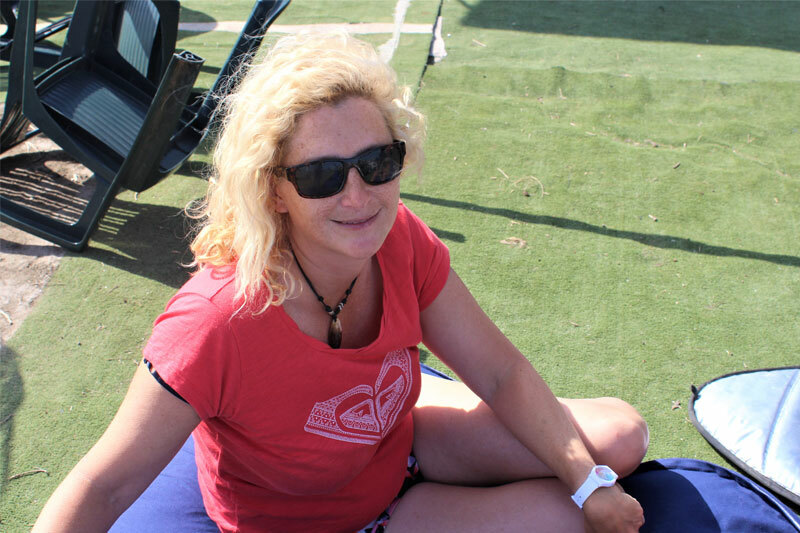 For us, kitesurfing means that at the end of the course our students become autonomous kitesurfers, are familiar with all safety rules and problem situations and internalise the Safety First motto. 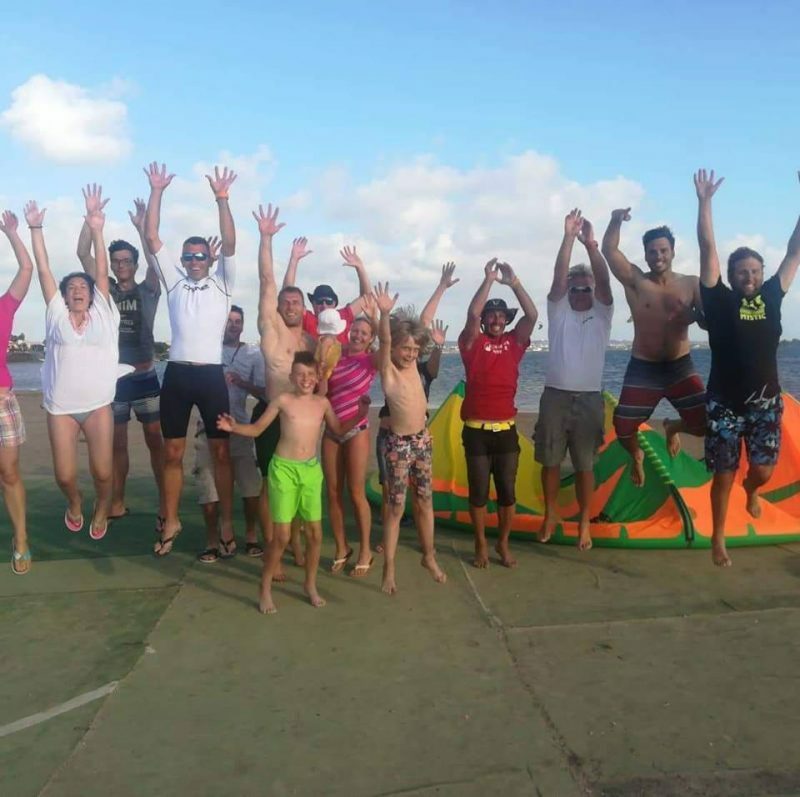 In hip-deep water with a huge standing area we quickly reach this goal and have already trained hundreds of new kitesurfers who can ride safely. You have already taken part in a kitesurfing course and are confident in kite control, bodydrags and the first water starts? Then the advanced course is for you. Deepen your knowledge in our advanced course, in which you can learn the waterstart, how to hold high and the first turns. At our kite school in Lo Stagnone we take a maximum of 2 people into the group and use helmets with radio technology. 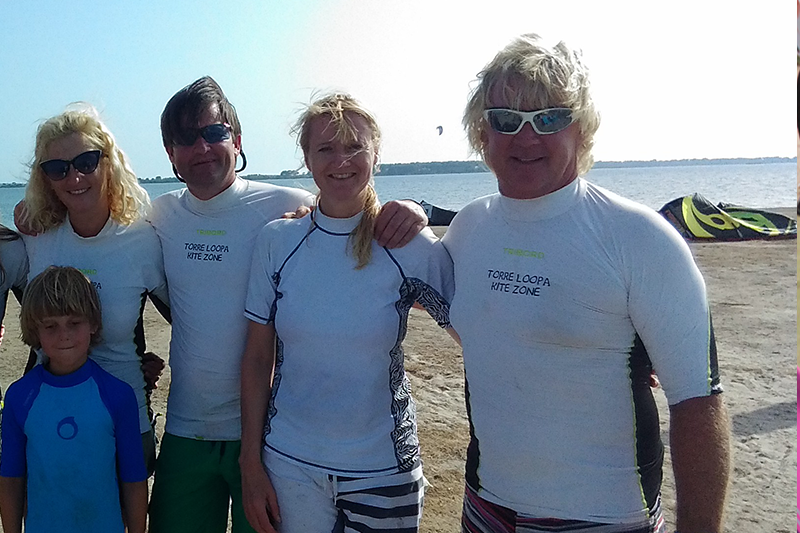 In hip-deep water with a huge standing area we quickly reach our goal: new kitesurfers who can ride safely. 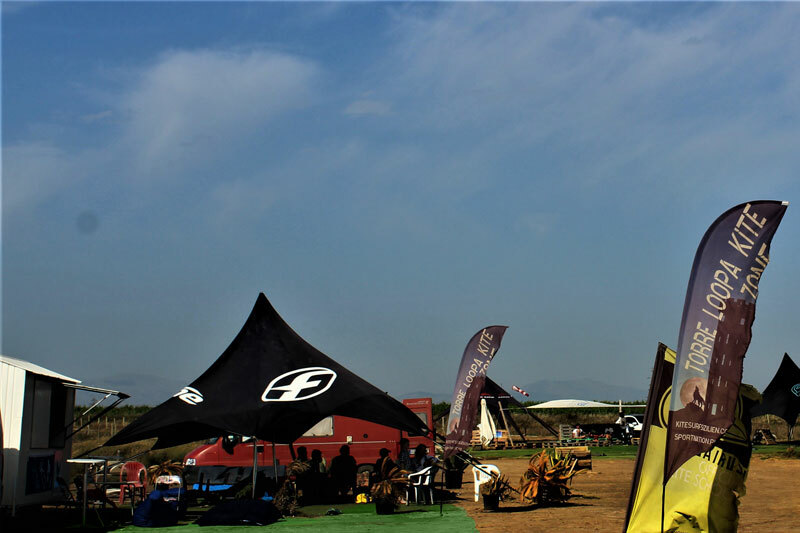 Info: Usually the kite course is worthwhile in combination with some days of equipment rental. After you have completed the 6 hours of ascent, you can immediately go to the rental and continue practicing autonomously. 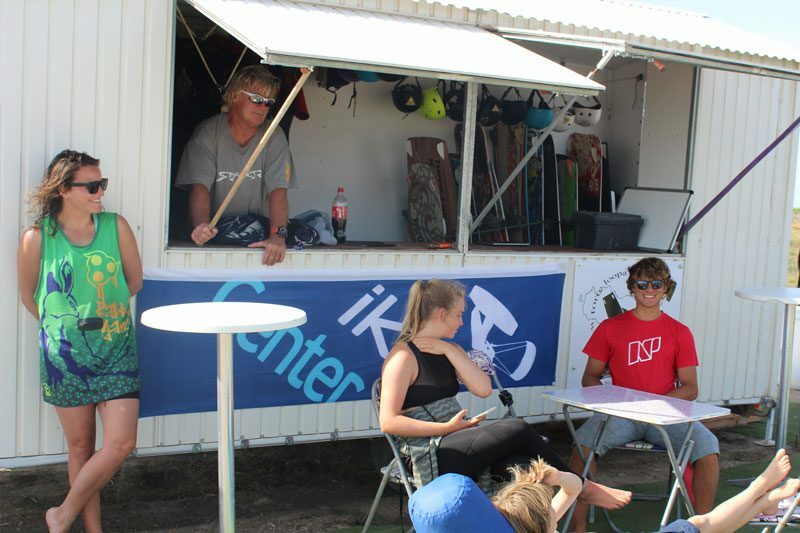 In our kitesurf school the motto is always “safety-first”, so we always keep an eye on our students. If you find yourself in a situation that you cannot solve on your own, we will inform our instructors over the radio who will help you immediately. We are also happy to help with water starts or other possible hurdles. Private lessons are ideal for correcting personal mistakes. In private lessons the instructor can concentrate 100% on the student and his movements. We use helmets with radio transmission so that the instructor is always with you. The private lessons are recommended after the basic course if you are still unsure and would like to get some tips before the rental or as a “refresh” if you haven’t been on the water for a long time. You are very welcome to rent any kite equipment from us at fair prices. For us kite rental means accompanied kiting. We are happy to help you choose the right material and always keep an eye on you if you need help. You can change the glider and board size at any time for free. We are also happy to help you with the assembly and double-check the material before you go out on the water. 18 Boards – all LR Freestyle-, Freeride- and Waveboards in all sizes from 2016, 2017 up to 2018. Would you like to buy your own material? Just contact us! 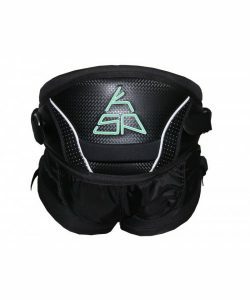 We will be happy to advise you and you can try out our kite equipment for yourself. 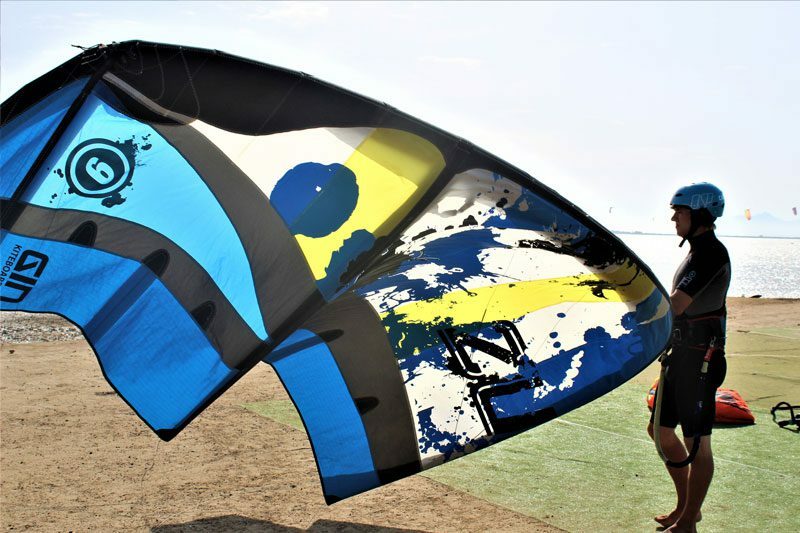 We sell brand new kite material as well as used material in good condition. We can also send the material directly to your home address throughout Europe. Let us know – we will be happy to advise you! The group size of our kite courses depends on the wishes of our students. Per day we do 2-3 kite hours, provided that there is enough power and motivation, we also like to do more. Training is generally done with a radio so that the contact is always established. The basic course is usually spread over 3 days. Would you like an extra private lesson? No problem. We are super flexible. 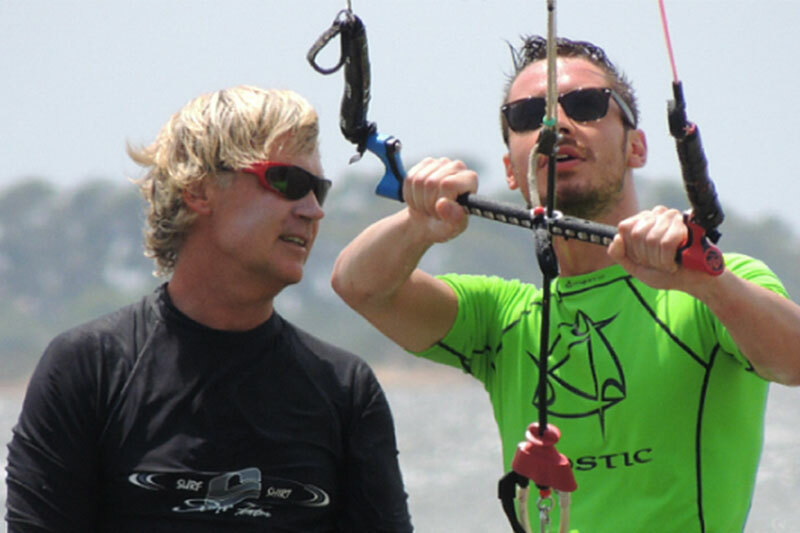 All kiteboarding lessons can be customized according to your needs and schedule. We firmly believe in personal care. At our kitesurfing school the most important thing is that you can kitesurf autonomously at the end of the course. 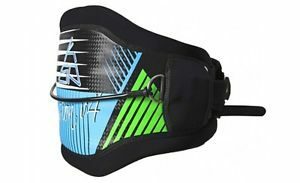 So that it won’t be dangerous for yourself or the other kiters – safety-first and quality before quantity are our mottos. It is also important to us that each of our students is familiar with all problematic situations in the water and can react quickly. We often have children who sign up for kite lessons. Official rules are: From 10 years and 50 kilos. For children we recommend to take a windsurfing course first. 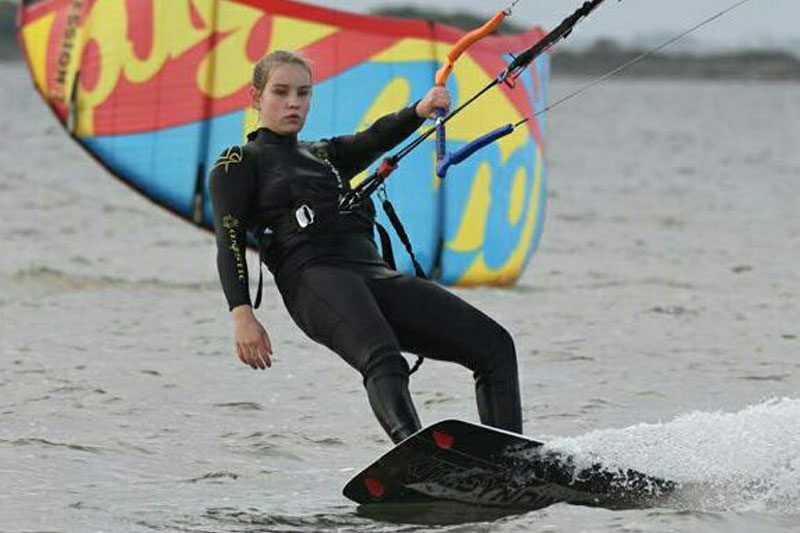 If you already have a bit of water experience, kiting will come next year! In the kite lagoon Lo Stagnone you can stand for miles, which makes this spot perfect for beginners. If you make a mistake, you just get up and walk quietly out of the water. 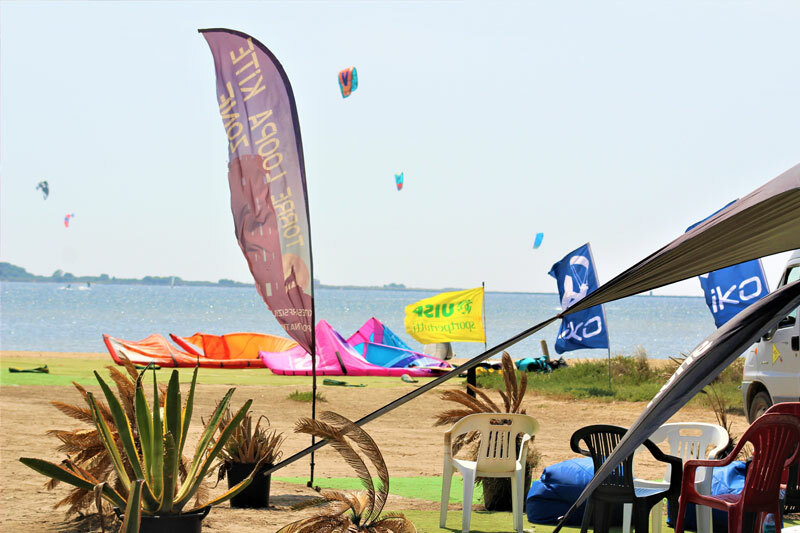 Therefore you can rent equipment after the kite course and practice yourself. 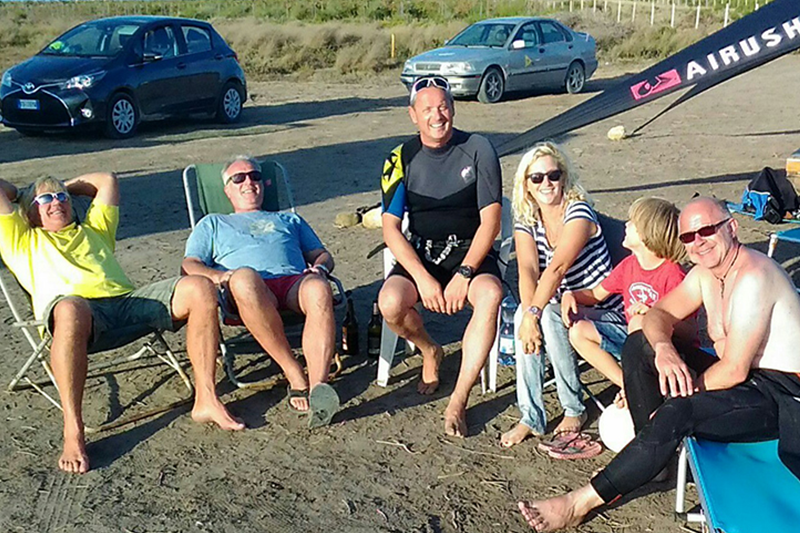 We always take care of our kitesurfers when they get to the rental status – Safety-first! We are often asked if our station is not too crowded during the high season. The answer is no. Our landing area is very large and we do not accept more than 25 guests at the same time. Our kite area is as big as it is safe, as there are no objects in the water. The two most common wind directions are northwest and the Scirocco from the south. Both wind directions mean neither onshore nor offshore wind for our spot “Sideshore Wind” – the perfect prerequisite for learning. In addition, thermals play an important role for us, as the lagoon heats up quickly. 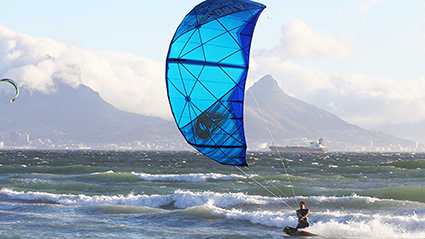 The winds are therefore often stronger than announced – and the warm water temperature makes it easy to kite in shorts. Our kite school in Lo Stagnone is situated in the middle of a nature reserve. That’s why the school has a family atmosphere. Nevertheless, the school is equipped with a parking lot, chill-out area, landing area, bar and restroom. 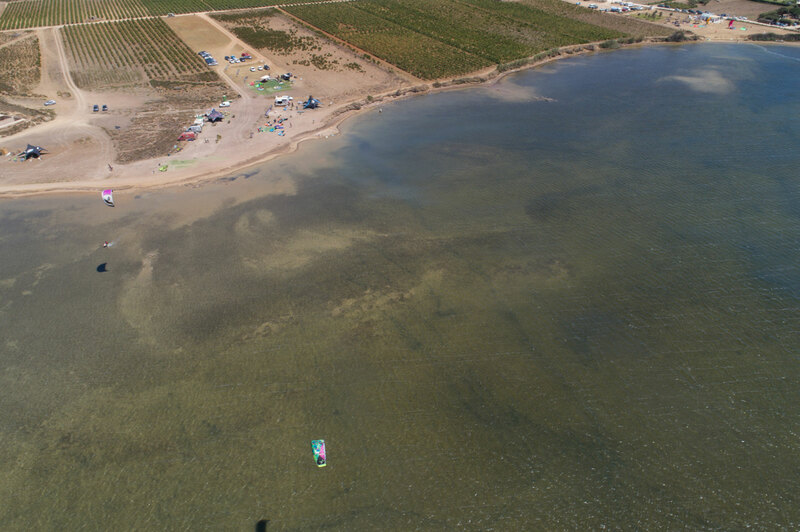 The kite lagoon is also recommended for advanced kiters. If you practice certain tricks, you don’t have to wait for a lifeboat or the like. In hip-deep water you just get up and can go on. The approach is more than easy. There is a cheap bus from Palermo to Trapani airport (Birgi). From there we pick up our guests and take them directly to their accommodation or to the beach. For windless days there are other nice activities: For example a boat trip to Favignana, Erice, Segesta, Marsala old town – or climbing. And these are just a few examples of the many leisure activities. Since we live here, we also have some very nice secret spots, which we like to share with our guests. 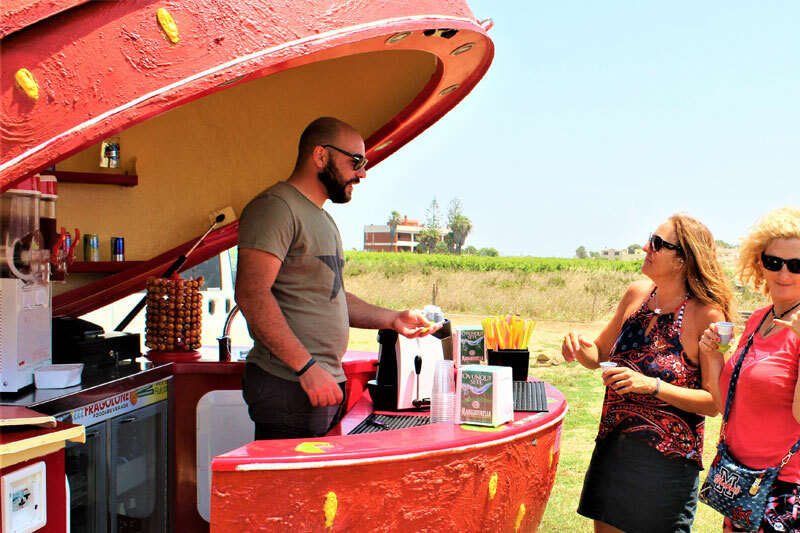 In addition, we regularly invite you to the BBQ and spend cosy evenings together.